…but I have no post for today. You may have noticed last week that I mentioned I was out of the country; and sometimes flights are delayed, which make you miss connecting flights. So I have no bread to talk about today, but I promise I will make it up to you on Sunday. You heard that right: no Monday post this week, but there will be a Super Ultra-Special Mega Sunday post! Hooray! 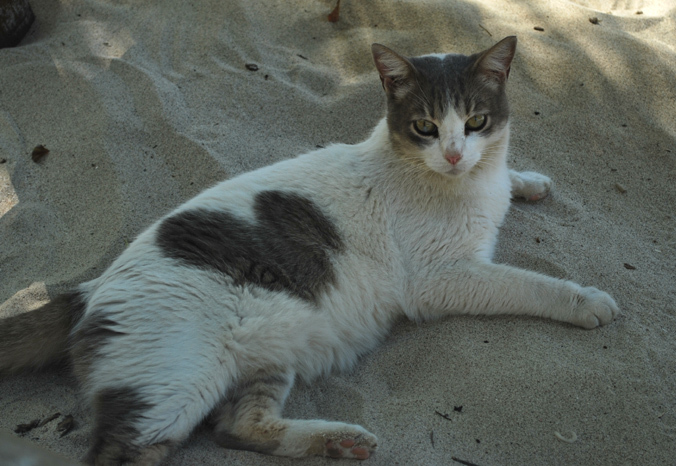 …that my sister promptly buried in the sand. My elder sister. Good times. Special Kitty! 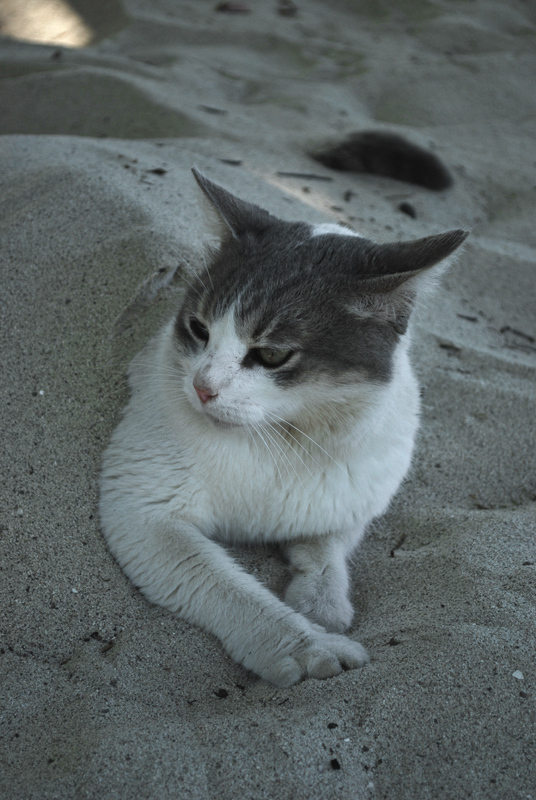 It’s important to note that this kitty was not harmed during the production of this picture, in fact, he was purring and kneading in the sand.